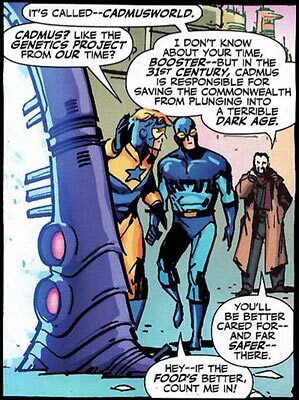 Brief Synopsis: Blue Beetle and Booster Gold are relocated to Cadmusworld. ...Cadmusworld, a planet where, like it's 21st century counterpart, genetic manipulation is practiced in secret. Booster and Beetle come face to face with Terrance Magnus, the man partially responsible for the creation of the 31st-century Justice League. 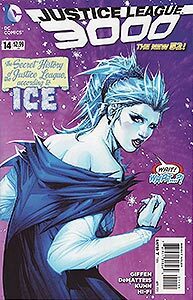 Boosterrific Review: This issue is mostly exposition with some generally dissatisfying art. But wow, does that ending promise some great stuff in future issues!